This wee chap was a fun extra project we did at class this week. 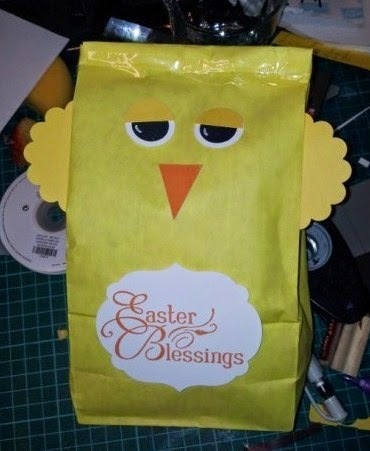 So in keeping with it I remembered I had some yellow paper bags in my craft stash so I made the bellow big fella to fill with Easter goodies for my mum. 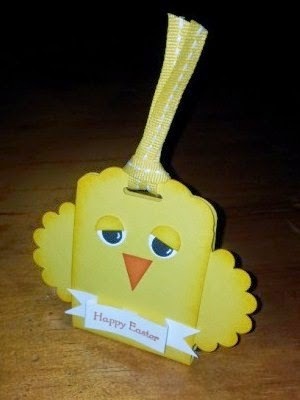 The bag stands at about 25cm tall.